Tiger Woods had fans cheering. The final of the women's world hockey championships was filled with controversy. And the Stanley Cup playoffs continue to baffle. No matter the emotion, this past weekend's action proved it's a great time to be a sports fan. Woods' first embrace after winning his first major championship in 3,954 days was with his son, Charlie. His first embrace after winning his first Masters at just 21 years old was his father, Earl Woods, who told his son that day, "We made it." Twenty-two years later, he's made it again. "For them to see what it's like to have their dad win a major championship, I hope that's something they will never forget," Woods told reporters. 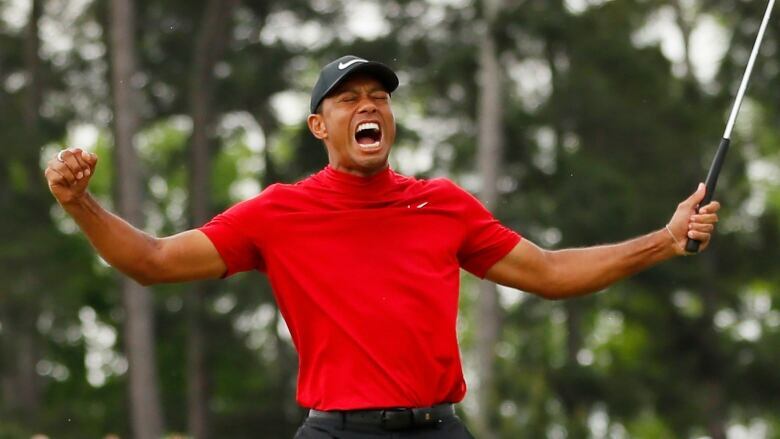 It will forever be one of those great sporting moments people will talk about for a lifetime — an "I remember where I was when Tiger won again," moment. His 14 years between Masters wins is the most amount of time between winning the green jacket. It's been a difficult road back for Wood. He's endured a messy and public divorce, an embarrassing DUI arrest, and a mug shot that made millions of rounds on social media. He was the face of a colossal collapse. Once the villain, Woods is now the face of hope, inspiration and reminded us all anything is possible. And for as thrilling and feel-good as Woods' Masters win was, the end to the USA-Finland women's world hockey championship final was heart-breaking and cringe-worthy. It was as if Finland's historic hockey run at the women's world championship was etched in the stars — the team, playing in front of a raucous crowd at home, seemed destined to win its first world title, especially considering the nation's historic semifinal victory over Canada. The crowd erupted in a blue and white celebration of joy and disbelief. The team blasted out of its bench and onto the ice. They threw their sticks and gloves. The Americans hung their heads. It was over. It was historic. Finland had won its first-ever women's world hockey title. Finland's goal was waved off for goaltender interference, yet the penalty went to the Americans. It was supposed to be a watershed moment for a sport that's been far too predictable since it burst onto the world stage at the 1998 Olympics. The only drama that ever came of past championships was whether Canada or the United States would win. For a few minutes Finland had won. And they had it ripped away. Tampa Bay won 62 games this season, tying the NHL record set by the 1995-96 Detroit Red Wings. The Lightning finished the season with 128 points, fourth in NHL history. Perhaps more impressive, they won the Presidents' Trophy by a 21-point margin. And then there's the situation unfolding between the Islanders and the Pittsburgh Penguins. Perhaps not as shocking or jarring as what's taking place between the two aforementioned teams but still remarkable to watch. Don't count the Penguins out yet though. Never count out Sidney Crosby. But the Islanders are now one win away from advancing past the first round of the playoffs for the first time since 1993.